What color do you think of for St. Patrick’s Day? Green, right? Green Beer. Green Eggs and Ham. Notre Dame Irish green…and gold. Which happens to be the same color of a lot of beers, come to think of it. There will be plenty of these served around Des Moines’ Irish pubs today…Cooney’s, AK O’Connor’s, Flanagan’s, Mickey’s…and right around the corner from our office and showroom in Urbandale, Murphy’s. Might have to drop in at Murphy’s for one myself sometime today. 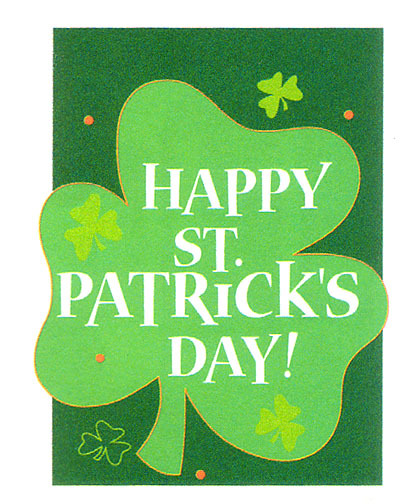 A toast to the Irish, a celebration of the luck of the green. I’m not Irish, but that doesn’t really matter, right? However, I recently learned that there is a section of Dublin called Harold’s Cross. Its over 900 years old and is named after a gallows and was used as an execution ground in a prior era. Hmmmm. Another green beer, bartender. What color do you think of for decking and railing? Brown? (Faded-) Grey? 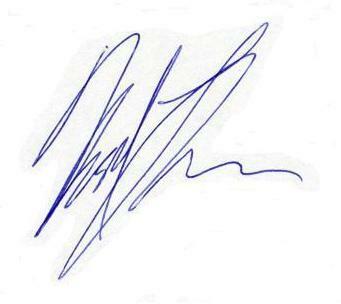 White, maybe? Those are the “standards”…what you see on most decks. But, today, with the improved coloring techniques in wood-alternative decking and railing products, the color choices you have in the wood-alternative world are much broader. Mostly earth tones, still (although CorrectDeck used to have a log cabin green color), but the hues are all over the “earth tone” pallet. Azek Deck, strictly a PVC-based decking product, now offers 11 different deck board colors across 3 collections of style lines (Arbor, Terra, Harvest). Azek’s Premier Rail product comes in 6 different colors, most of which complement, if not match, most of the 11 deck boards… interchangeably…across all styles. If you’re doing the math, that’s 66 possible combinations of a deck/rail configuration…and that’s assuming you’re just going with one color of decking. I think I would throw out a few of those for all but those of you who have had too much green beer. TimberTech, too, has 3 primary lines of decking boards – both wood-plastic composite and PVC – and has 10 color / style options across those boards. TimberTech offers railing products in 8 different colors but segregates their railing offerings to align with each of the 3 lines of decking (XLM, Earthwood, TwinFinish). That alignment effectively reduces the total combination of TimberTech’s decking/railing combinations to 44. But, TimberTech also offers their railings on a “mix-and-match” basis, so that number can rise quickly…exponentially, almost. Again, though, I wouldn’t necessarily recommend all of those combinations. Azek and TimberTech are just 2 of dozens – though our preferred options – of wood-alternative decking and railing vendors in the market. Trex can offer combinations approaching the numbers of Azek. Evergrain’s combination options approach the numbers of TimberTech. As you can see, there are literally hundreds of color and product options available for your new low-maintenance, wood-alternative deck. Hmmmm. Another green beer bartender. How to decide? That is the question. Azek offers an interactive Color Selector on their web site. It provides a very basic, but representative, view of their decking and railing combinations. TimberTech offers an interactive Color Visualizer on their web site. It provides a basic and representative view of how some their product color combinations can be paired. 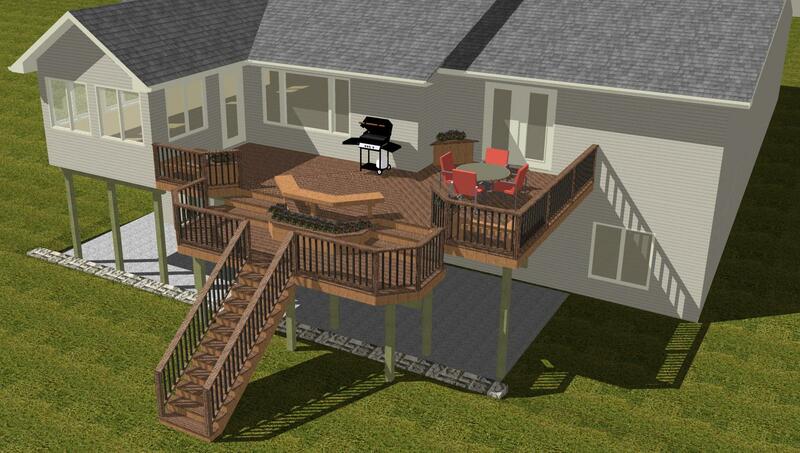 Archadeck of Central Iowa takes color visualization two steps further during our custom design process. We have an office and showroom in Urbandale, a suburb of Des Moines, where many of these deck boards and railing styles can be viewed in display settings. Don’t expect a Homemaker’s-sized showroom with hundreds of these combinations shown on larger, multi-level decks, but…I think you’ll like what you see…and see what you like. 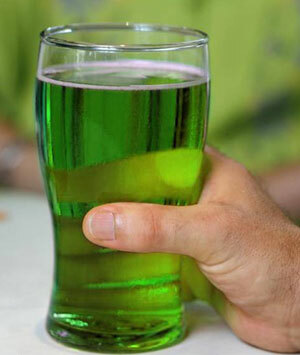 …Green in Beer…on St. Patrick’s Day. This entry was posted in Deck Railings, Decks and Decking, Low-Maintenance Decking, Outdoor Living, PVC Decking, St. Patrick's Day, Wood-Alternative Decking, Wood-Plastic Composite Decking, Wood-Plastic Composites. Bookmark the permalink. I am building a 20ft X 35ft deck with Azek Morado from their Arbor collection. I am uisng black baroque wavy balusters and plan to use 2X4 kiln dried PT boards that the baulsters will be screwed onto. I am trying to firque out what color that I stain the wood? Try to match, darker or lighter or log cabin green or black? Also I am using a black pyrmaid post cap with cedar trim. Your ideas would be greatly appreciated. What are you doing for the rail posts? And for the top rail? How much railing (linear feet) do you have? What color is the house…and trim? Those are all questions I’d consider before I’d make any specific recommendation. And, then still tough without seeing it all. But, overall, I think I would stain any wood a complimentary brown tone to the Azek Morado board. That board is multi-hued a bit, with black streaking thru it. I’d try to pull out or hit the lightest color/tone in that board with any staining….and thats still going to be a pretty dark brown. I think. A full black rail would look good, too, with that. Or…the reason I asked about the rail posts…maybe black post sleeves at a minimum. I worry about staining wood black and how soon it might start fading/weathering to grey. Of course, the fading/weathering issue applies to any stain. I think of all the options you threw out, I like the log cabin green color the least. Unless this is all going a log cabin with green trim and roof. Not sure how helpful this is from such a distance, so take it with a grain of salt. Plus, colors can be a very personal decision. Go with what you like. Thanks for reading my blog and for contributing to the discussion. Good luck with your project! PS – Where are you located?